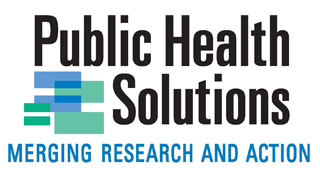 Public Health Solutions (PHS) plays a critical role in delivering, administering, and researching, some of the most important programs that advance and protect the health and well-being of people and communities throughout the New York City region. Most of the people PHS supports are in under-served and at-risk communities, including low-income women and children, people living with HIV/AIDS, newly-arrived and immigrant populations, and more. Founded more than 50 years ago to help add independent research capacity to the New York City Department of Health, the organization today houses one of the largest Research & Evaluation units in the field. In addition, PHS manages and supports a broad range of contracts and other administrative services for peer organizations and partners. One of PHS’s key direct service delivery programs is a Neighborhood WIC program, which serves more than 46,000 families through its nine WIC centers, providing low-income pregnant women, infants, and children up to age five who are at nutritional risk with supplemental food, nutrition education, counseling and referrals to social services and assistance with obtaining health insurance coverage. Additional programs address challenges in HIV/AIDS prevention, reproductive health, and nutrition and obesity through extensive, evidenced-based work. With expertise from our Research & Evaluation unit, the programs also regularly disseminate culturally-competent, linguistically-diverse, easy-to-implement, health and nutrition materials in print and digital to individuals and families in at-risk communities. With a strong and dedicated staff of 650 employees, Public Health Solutions continues to work towards reducing health disparities throughout New York City, and improving the health and quality of life of all New Yorkers. PHS develops, implements and advocates dynamic solutions to prevent disease and improve community health. We conduct comprehensive research providing insight on public health issues, create and manage community health programs, and provide services to organizations to address public health challenges. Get in touch with Public Health Solutions. A presentation by Louise Cohen, MPH (Vice President, Public Health Solutions) at the CDC Public Health Workforce Summit.